This house is located in the picturesque village of Gortahork near the Ostan Loch Altan Hotel close to shops, pubs and restaurants. To take full advantage of the wonderful Bay views the bedrooms are on the ground floor. The reception room is on the first floor. The full size pool table is in the gallery room also with beautiful Bay views.The interiors are tastefully decorated and very comfortable. Ground floor, bedroom 1- with en-suite shower room, wash basin WC. Bedroom 2, adult bunk with single bed. Bedroom 3, double bed. Bathroom with separate shower, bath, wash basin WC. All bedlinen & towels supplied. First floor lounge, Bay views, open fire, TV, DVD player, music centre. Kitchen/diner- freezer, microwave, w/machine, table seats 6 and balcony leading out to fully enclosed garden. Second floor, gallery/loft with Double bed and full size pool table. Off road parking, patio furniture. A non smoking house. Sorry no pets. This beautiful property is spacious, catering for people of all ages. It boasts, breathtaking scenery of Ballyness Bay. Taking relaxing walks or hikes in the countryside or a stroll along many of the glorious beaches. This House is so close to the heart of a quiet village, near to Teac Billies Pub. This Pub is not to be missed for the legendary Traditional music held every, Tuesday Night. Musician's travel from around the country and further a field just to play here. And with its lead back atmosphere, you can sit back, relax and take in the joys of what this beautiful, stunning part of Donegal has to offer. This is why I fell in love with this property and Gortahork Its just a relaxing place and enjoyable place to be. It has something for everyone! Really lovely place, super helpful owner. 5 stars from us! Everything we needed was there and really comfortable. The property was nice enough - just small things like watered down soap, frying pan - not clean, although clean loads of cobwebs and spiders, shower blocked so an hour spent unblocking it and having to be out by 10am wasn't ideal as there were 2 showers between 8 people were some of the minor things. Beds were comfortable, nicely furnished and pool table in good condition. Local indian carry out food was excellent. great place to stay. Owner [Ray] more than helpful, curtains may need a clean but that did not stop us from enjoying the place and location. Great place. Easy to collect/return keys and very nice accommodation. 🍀� Thank you very much for your kind review, we really appreciate your comments, thank you. And thank you also the cleaner is very nice and helpful. Gortahork is a beautiful part of Donegal. The people are extremely friendly and welcoming. Come back and stay again. A spacious, light and lovely warm house over 3 floors. 9 of us stayed here and all of us thought it was ideal for entertaining family as well as a base for all the walking and beach visits we did. Owners instructions were clear regards who to contact if any issues arose - and there were none. Housekeeper was friendly, helpful and on hand if I needed anything too. Great kitchen /dining room with plenty of plates/pots and pans etc. Right beside the hotel if you fancy not cooking and if you've got transport you're not far from other villages for a change of scenery. I heartily recommend it! 🍀� Thank you very much for your excellent review, we really appreciate your extremely kind comments, thank you. And thank you also the cleaner is ever so helpful. Gortahork is a beautiful part of Donegal. The people are so friendly and welcoming. Glad you loved your stay and have treasured memories. Come back and stay again. Just an hours drive from Castlefinn Airport the house is situated in the grounds of Ostan Loch Altan Hotel which is right in the heart of Gortahork and is ideally placed for touring the beautiful coastal surroundings. Gortahork is a small village in the Irish speaking Gaeltacht area were the beautiful Irish language can be experienced. The surrounding area has golden sandy beaches at Falcarragh, Magheroarty, Dunfanaghy and the blue flag beach at Marble Hill were water sports and surfing are catered for. Golfing is provided at Falcarragh and Dunfanaghy which also has horse riding available. Glenveagh National Park is a short drive away were you can tour the beautiful castle and gardens. There are boat trips to Tory Island and for Sea angling that leave Magheroarty pier, Fishing is also provided for in local rivers and lakes. 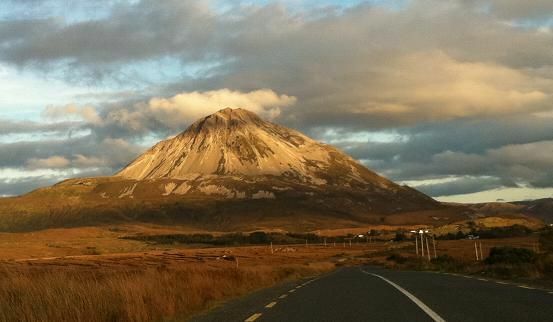 There are indoor swimming pools nearby and children's play park at Dunlewey Centre, Errigal and Muckish mountain provide great walks and climbs. Golf: Golf course at Fallcarragh 9 hole. Golf course at Dunfanaghy 18 hole. Departure time will be 10:00 am. Arrival time 4:00 pm. Departure/arrival times may be flexible depending on availability. When other parties are arriving on the same day, people need to vacate at 10am to give housekeeper time to clean. Cancellation fee £40. 60 days before arrival. 50% of booking cost One month before arrival. Thank you for your understanding.